Sukhumvit’s homely-yet-refined Italian mainstay, Enoteca Italiana, has a new head chef. 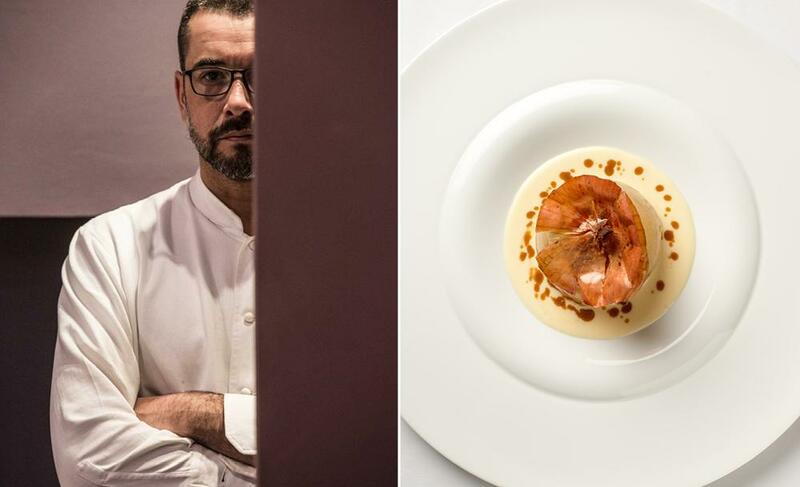 Stefano Borra recently arrived in Bangkok after relocating from his native Piedmont, where his restaurant, Ristorante VO, still sits in the Michelin 2016 guide accredited with one star. Piedmont cuisine is about full-on, meaty and rustic flavors—things which have always sat well with Enoteca but which Borra brings out even more strongly in powerful dishes like braised quail stew served in the shell of a salt-cooked onion (B650) and roast pigeon with pigeon liver pate, foie gras and savoy cabbage (B1,500). While the old Enoteca menu still remains, look to the current truffle seasonal menu for other Borra specialties like beef tartare made from Piedmont’s famously lean fassona beef and topped with a fudgy, slow-cooked egg yolk (B790) and tajarin pasta—another special of Piedmont made with vast quantities of egg yolk—topped with butter and Parmesan cheese (B300). For the best experience, go with one of Enoteca’s degustation menus, priced at B1,700-2,900 (4-7 courses).